Deadline Hollywood tells us that Paramount has given Ben Stiller and "Iron Man 2" scribe Justin Theroux a green light for a PG13 follow up the 2001 cult favorite. Theroux is planning to attend fashion week in Paris, where he will immerse himself in current fashion before penning the sequel with Stiller. The current plan is that Theroux will also direct with a budget somewhere under $50 million. That is not all. Paramount are currently in negotiations with Jonah Hill to star opposite Ben Stiller as a new villain. Finke says that Hill is "likely" to star. Hill who seems to be on a roll since Superbad, should make a pleasing villain. I have to say, I seriously doubt Hill will ever be able to live up to Will Ferrell's performance as Mugatu in the original. Unless of course, Jonah Hill will be playing Mugatu's son? In rather troubling news, there is no word on Owen Wilson as of yet. Wilson who played Zoolander's rival fashion model Hansel, would seem to be a big upset if he were not to return. While Zoolander is a great character on his own, Hansel (Owen Wilson) really brought something special out of Zoolander, not to mention himself. I always wanted to see more of Zoolander, but now that it appears to be actually happening, I'm a little nervous how good it will turn out. Zoolander is a once in a lifetime story, that is so quirky and hysterical, I am not so sure they will be able to replicate it. I guess what I'm getting at is, I am real interested to see what the plot will contain. What will be Derek Zoolander's latest dilemma now that he's concurred Mugatu and unveiled his best look? 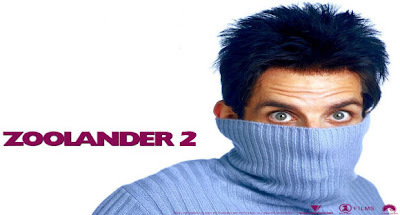 Will the film include the son of Zoolander? Just a lot of questions from this news.